Elementor has recently crossed the barrier of over 1,000,000 active installations, which puts him in the forefront of the most popular builders alongside Page Builder by SiteOrigin and Beaver on WordPress.org. I can easily say that it also among the most popular drag&drop builders in the world. Due to the fact that we use Elementor in our Rif Free WordPress Theme, we decided to prepare beautiful free Elementor templates, which each of you can use for both personal and commercial purposes. I would like to invite you to a new collection of tutorials. 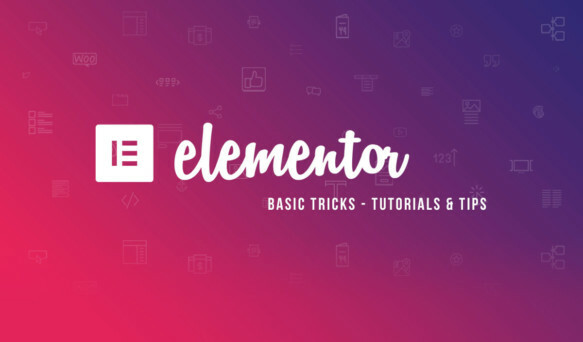 This time I will focus on Basic Elementor Plugin Tricks, which becomes extremely popular and at the time of writing this article is activated on over 600,000 installations.